Specialist multisport retailer TRI UK has unveiled expansion plans for five new stores across the UK, taking its total to six stores – with the original TRI UK Yeovil 17,000 square foot store still based at its home in South West England. 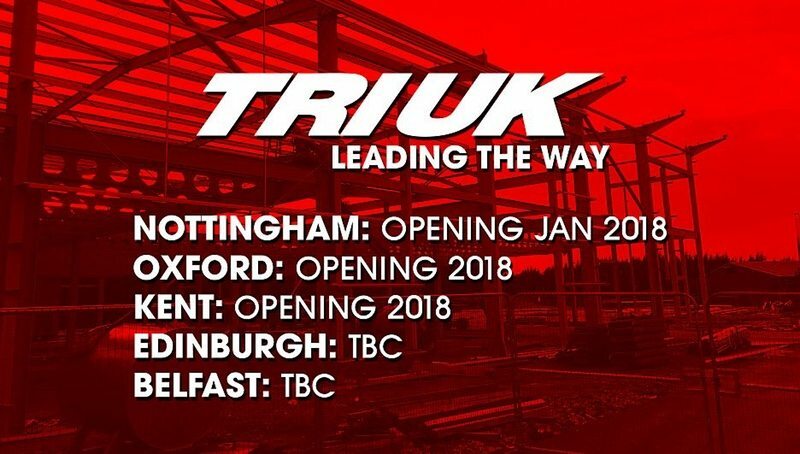 The new TRI UK store expansion coincides with a company filing made on 10 October that confirms major UK sports retailer Sports Direct as the new owner of TRI UK. The filing with the UK’s Companies House states that the 100 ordinary shares in TRI UK (via its Tri Yeovil UK Ltd registered business) are now held by SportsDirect.com Retail Ltd. The terms of the deal, which sees Sports Direct take control of one of the UK’s leading multisport store operators, were not disclosed. TRI UK founder Chris Boon remains on board as a director of the Sports Direct-backed TRI UK operation. Other directors include: Dotun Adegoke (Senior Buyer at Sports Direct), Cameron Olsen (Head of Legal & Company Secretary at Sports Direct) and Rachel Stockton (Head of Customs & VAT and Buying Office Manager at Sports Direct). As the UK’s largest sporting goods retailer, publicly traded Sports Direct International reported turnover of £3.2 billion in the 12 months to April 2017, up from £2.9 billion in the previous reporting period. Net profit before tax stood at £282 million. Such expansion plans require experienced staff at all levels; so TRI UK is now actively recruiting. TRI UK is looking for experienced and qualified cycle technicians, workshop managers, shop floor assistants, bike fitting staff and general store managers. These new stores will provide approximately 150 new jobs in the cycle industry over the next 18 months as the expansion plans roll out across the UK.